The process of business payments or B2B payments is still a manual and time-consuming process for most businesses. Many firms spend countless hours manually dealing with invoices and use paper-checks for over 70 percent of their payments. This costly, convoluted process leaves no easy way of tracking invoices and wastes billions of dollars, globally, in inefficiencies. Invoira aims to help small and medium businesses save time and money by streamlining their invoice-to-payment processes. 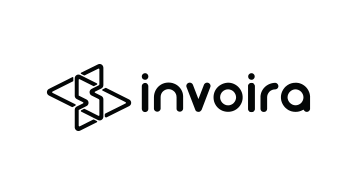 Our product is a secure web-based e-invoicing network which connects businesses, both large and small, and streamlines their invoice-to-pay process. Invoira provides a free supplier portal where suppliers can submit their invoices online, track their status in real-time and communicate with you via the live integrated chat service, without having to use email. You can think of it as "Google Docs for invoicing". Invoira integrates with your favorite accounting system eliminating the need for manual data entry and makes it simple and affordable for you to pay your local and global suppliers. Our platform eliminates 80 percent of the labor and cost associated with outdated and ineffectual supplier payment processes.